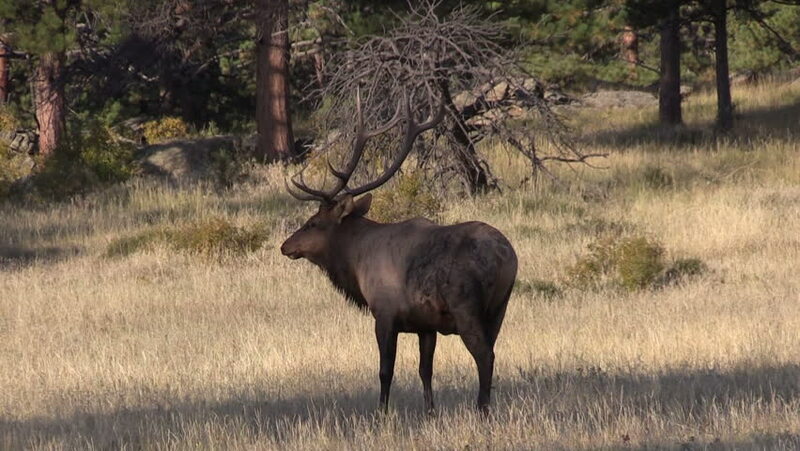 hd00:17Bull Elk in a high mountain meadow in southern Colorado. Antler horns still covered in velvet in early fall or autumn. Feeding on meadow grass near a pine forest. Majestic and royal.